Are you blessed with beautiful natural curls? If you are, then you must know how hard it is to manage those voluminous and bouncy locks and keep them from becoming brittle or unruly. Curly hair may get frizzy and is usually more susceptible to hair problems, such as breakage and split ends. You may also have dry and dull tresses because it’s difficult to keep this hair type hydrated. A number of high-end name brands offer special lines of hair care solutions for curly hair. However, other than burning a hole in your pocket, these chemical-laden products may end up damaging your hair in the long run. The perfect way to keep your tresses stylish and manageable without depending on commercial hair care products is by making your very own all-natural curl cream! 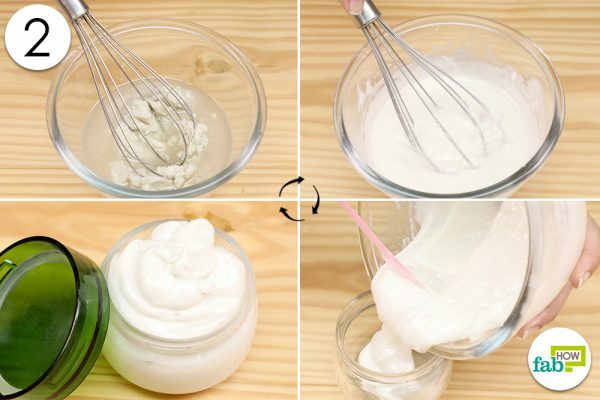 This DIY cream will help tame those curly tresses and keep them better conditioned. 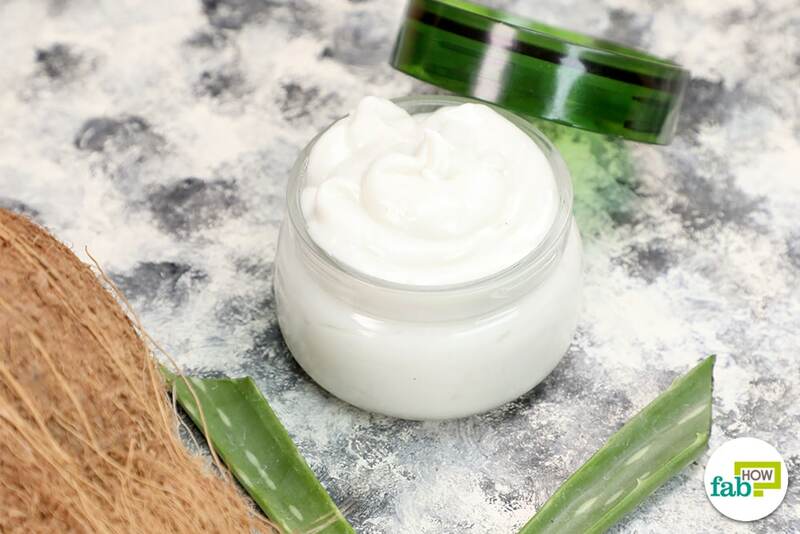 Using highly effective ingredients such as shea butter, coconut oil, and aloe vera; this natural curl cream should keep your locks moisturized, silky, and smooth. Step 1. Combine the ingredients in a bowl. Step 2. Whisk and transfer the cream into a container and use as required. Put the shea butter, coconut oil, and aloe vera gel together in a bowl. Add a few drops of essential oil to the other ingredients. Using a hand whisk, mix the ingredients until you get a smooth cream. Pour the cream into a container. Store and use the DIY curl cream as required. Use this cream on wet or damp hair. 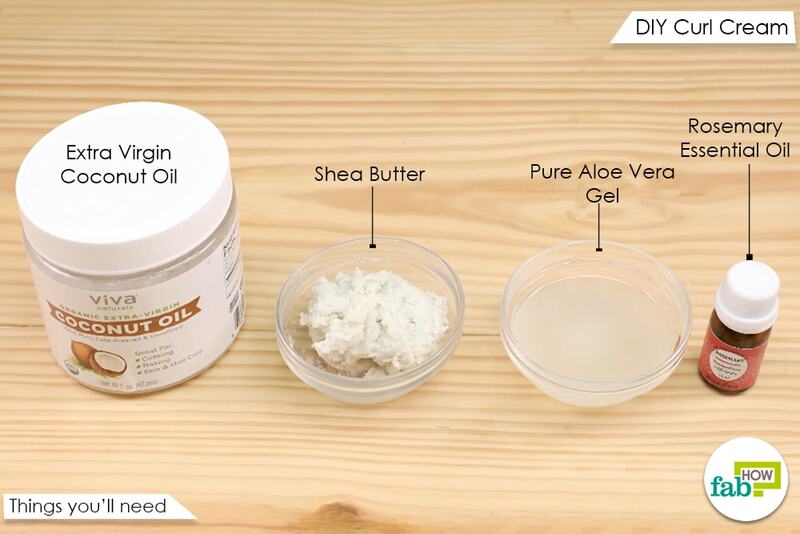 Apply the DIY curl cream through the entire length of your hair and air/blow dry or style as usual. For best results, use this cream after every shower. Below are some of the benefits of each ingredient used in this DIY curl cream to help you get those gorgeous, well-defined curls you always wished for. Shea butter: This ingredient possesses strong moisturizing properties and can be applied on hair and scalp for long, healthy, and strong hair! Shea butter has a number of essential nutrients effective in skin and hair care. It is rich in vitamins A and E and fatty acids, which provide natural anti-inflammatory and anti-aging benefits. Because of these qualities, shea butter is especially beneficial for curly hair that tends to get dry and unmanageable. Shea butter will soften and revitalize your tresses and will help keep the curls in place. Other than being useful for taming frizzy or unruly hair, it is also great for preventing issues like split ends and hair breakage. Shea butter protects and repairs hair damaged by UV rays, pollution, chemicals, styling tools, etc. and works well for dry and flaky scalp. The best part is, this ingredient won’t leave your hair looking oily or greasy! Coconut oil: Coconut oil enriches your hair with the goodness of vitamins, especially vitamins E and K, minerals, lauric acid, and medium-chain fatty acids, making hair strong and healthy. With its highly effective nourishing, moisturizing, and antimicrobial properties, coconut oil is a solution for all your hair and scalp problems. It helps in promoting hair growth, repairing damage, and controlling frizzy hair. It can lock in the moisture and keep your tresses shiny and gorgeous. Aloe vera: Aloe vera is used as a key ingredient in several healthcare and beauty products. Whether applied topically or consumed orally, it offers a long list of benefits. Loaded with the goodness of several essential nutrients including vitamins, minerals, amino acids, etc., aloe vera is very effective in promoting hair growth and making your tresses healthy and strong. It also helps in maintaining the pH balance of the hair and in treating itchy scalp and dandruff. It also offers protection against several scalp diseases. Aloe vera is an emollient and has strong moisturizing properties. This ingredient smooths the hair cuticle and gives you smooth and shiny hair. Aloe vera will moisturize and condition your hair to give you well-defined curls. 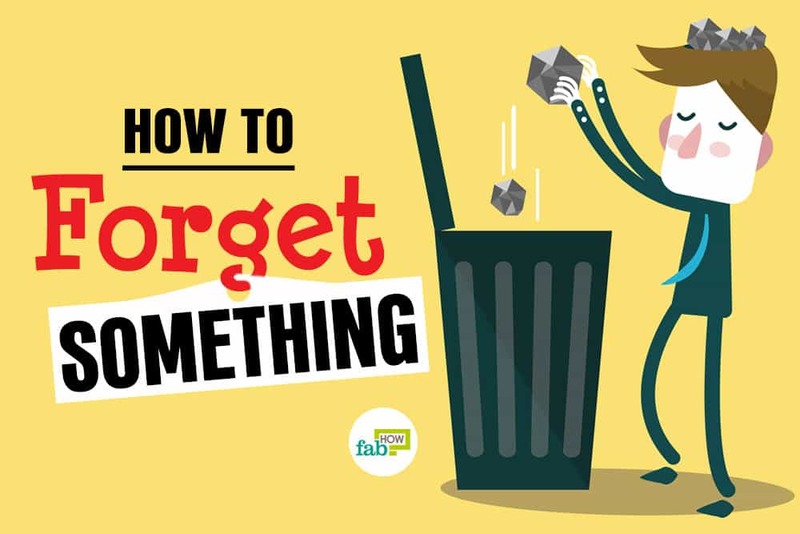 It will also make the detangling process much easier. Rosemary oil: Essential oils have grown immensely popular over the last few years owing to the beauty and healthcare benefits they offer. Rosemary essential oil is widely used in hair care remedies. It is known to stimulate hair growth, treat dandruff, prevent premature graying, and treat dryness and itching in the scalp. It is also very effective in preventing and treating hair loss and baldness. 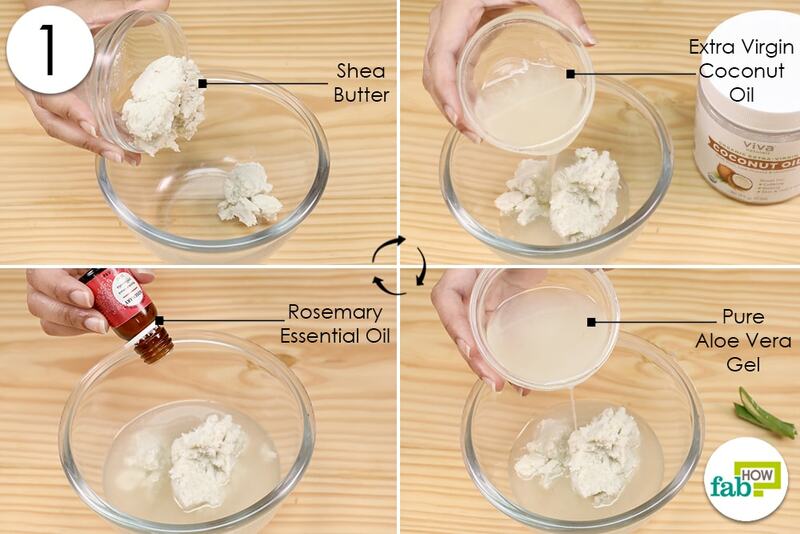 This ingredient will add a nice fragrance to your curl cream as well. Choose a shampoo and conditioner that caters to the requirements of curly hair. Do not shampoo your hair every day; two to three times a week should be sufficient. Do not use styling tools too often to avoid damage from dry heat. Regular trimming is the only way to really manage split ends. Use a wide-tooth comb to detangle your hair. Make sure the styling products you use do not contain alcohol.